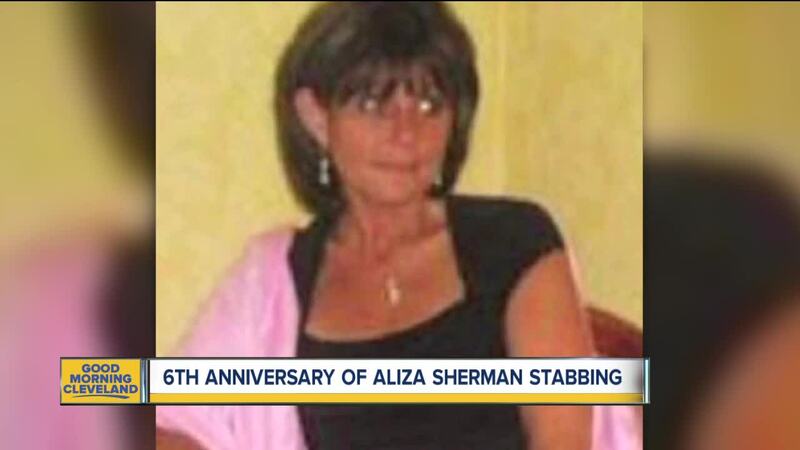 A vigil was held Sunday for Aliza Sherman, a Beachwood woman who was stabbed to death six years ago. CLEVELAND — Six years ago Sunday, a 53-year-old mother of four from Beachwood was stabbed to death in the middle of the day in downtown Cleveland. Her killer is still on the loose. 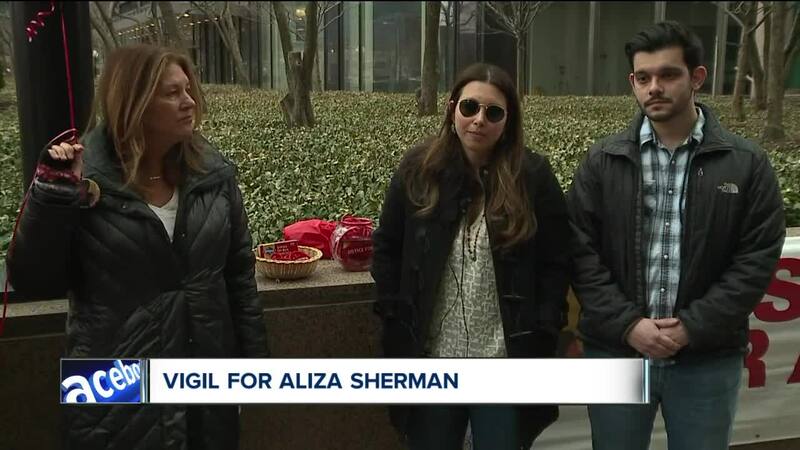 A brief vigil was held on Sunday at 5 p.m. at the scene of Aliza Sherman’s death at 75 Erieview Plaza, near East 12th Street and Hamilton, outside her divorce attorney’s office. Family and friends gathered at the building to remember Sherman’s life and demand answers. The brutal stabbing was captured on surveillance camera in 2013, and still, six year later, no one has been charged in her death. CrimeStoppers is offering a $100,000 reward for information leading to an arrest in Sherman’s case. Officials say that’s the largest amount ever offered in a case.